Collin Resultime Professional skin care products and treatments allow me to treat any skin with any concern effectively. For the correct treatment of your needs a consultation is recommended to ensure you achieve your required results. Listed below are just some of the treatments available and their description. 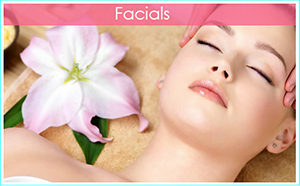 Deep cleansing facial which eliminates impurities, extracts blackheads, reduces pores, blemishes and prevents congestion. The texture of the skin is smooth and the complexion is even and matte. This treatment combines soothing active ingredients with anti-ageing mineral, which soothes, calms and reduces redness whilst strengthening vulnerable skin. The skin is soothed, comfortable and revitalised. For dry skin, it brings back the velvety softness. Omega6 and essential fatty acids help the skin to rapidly recover. The skin is replenished in lipids, intensely nourished and protected, leaving it instantly comforted, supple and soft. Hydrates, oxygenates, decongests and regenerates. From the moment of application, the skin is infused with water, quenched and plumped up. It no longer feels tight. Fine lines and open pores are lessened. The skin is protected and recovers its natural softness. For dull sluggish skin, this treatment will encourage skin vitality and bring back youthful radiance. The skin is luminous and energised. AHA Product promotes natural skin exfoliation removing dead cells loaded with melanin. Concentrations of brightening active ingredients act efficiently against the pigmentations dark spots. The skin is left radiant, bright and glowing. Pigmentation marks are lightened. Preserve the youth of your skin with this energising treatment. Hydrating, Nourishing and Lifting. Significantly reduces lines and wrinkles and improves skin tone and firmness, leaving the skin smooth, energised and velvety on awakening.